W:. Capron having a good time. 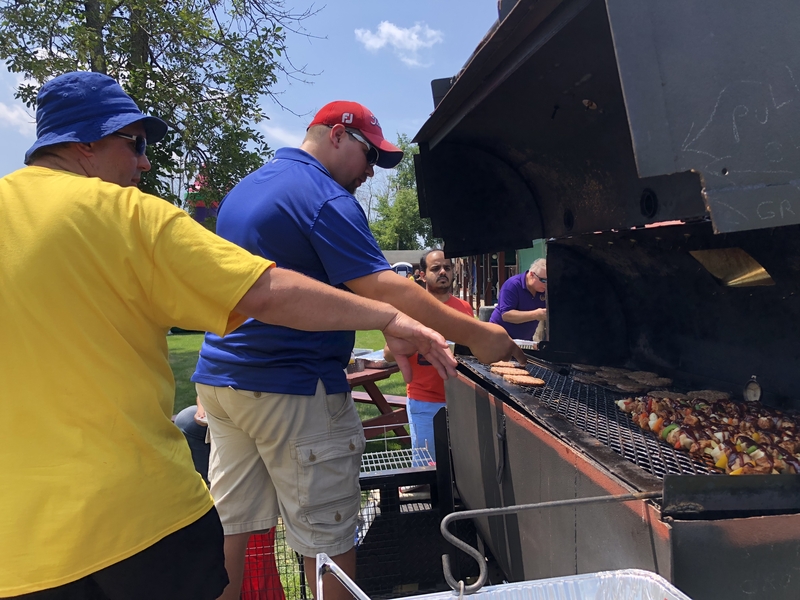 The Erie district of Masonic Lodges sponsored the first annual family picnic. This was an outstanding opportunity to get out and meet our fellow Erie District brothers. 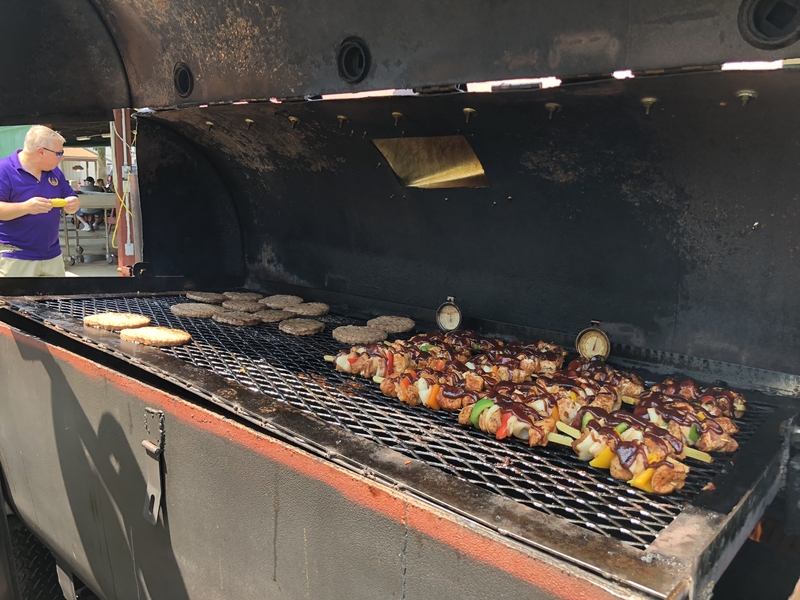 Erie Masons and their families enjoyed a day of sun, BBQ (courtesy of our very own Bro. 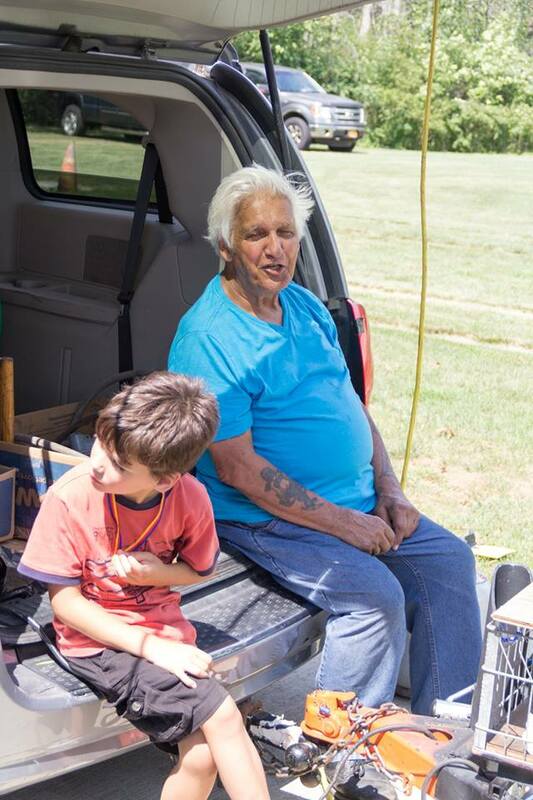 Andy Egressy), games, a bounce house, live music by Myron Deputat and his friend Denis Kitchen, and general good times and Fellowship spent with good men and their families. Brothers made new connections and Brotherhood prevailed. It was truly a great feeling being among so many friendly people. 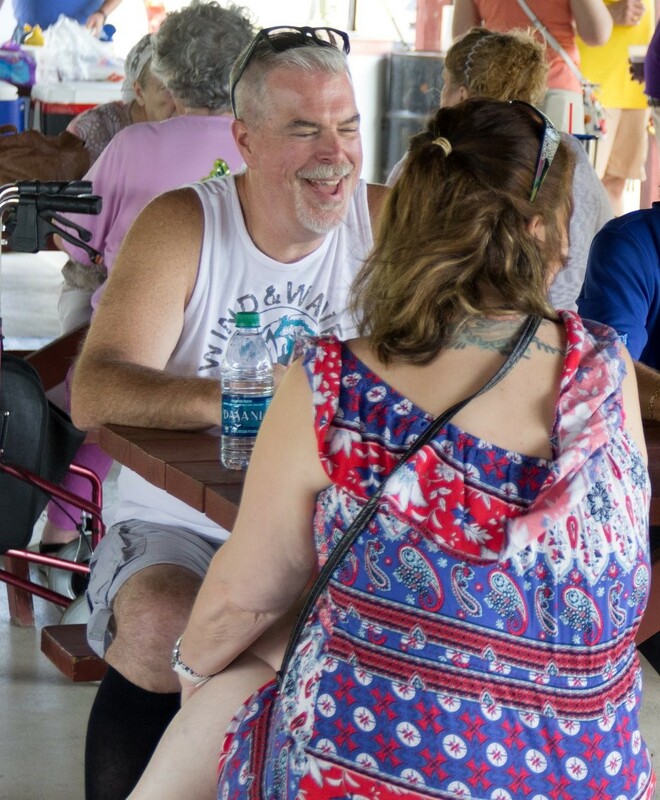 About 100 people attended the picnic with all Erie District Lodges represented. Next year we hope to double the attendance. All extra food was donated to the VFW Post #9249. Bro. Egressy supplied his monster home-built BBQ which quickly cooked up hot dogs, hamburgers, and chicken shish kebab. 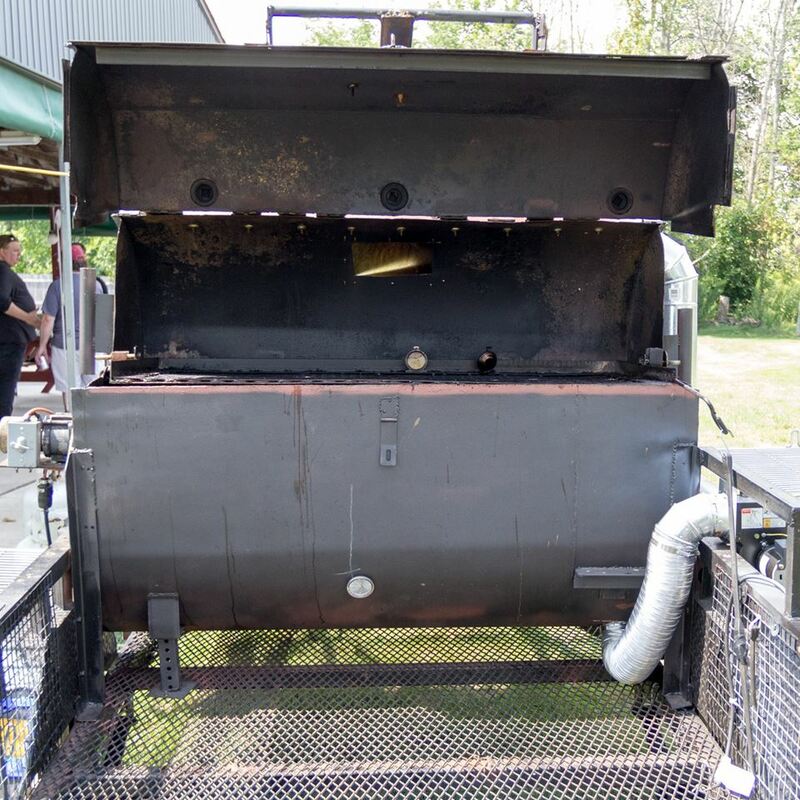 The grill/smoker can cook numerous burgers and dogs, several chickens on a rotisserie, and even a whole pig. Bro. Egressy wants to make this BBQ available to all Masonic Lodges to help with their events. Anyone interested please contact us for details.